As you all know, we have two great locations serving the people in Blaine and surrounding areas. 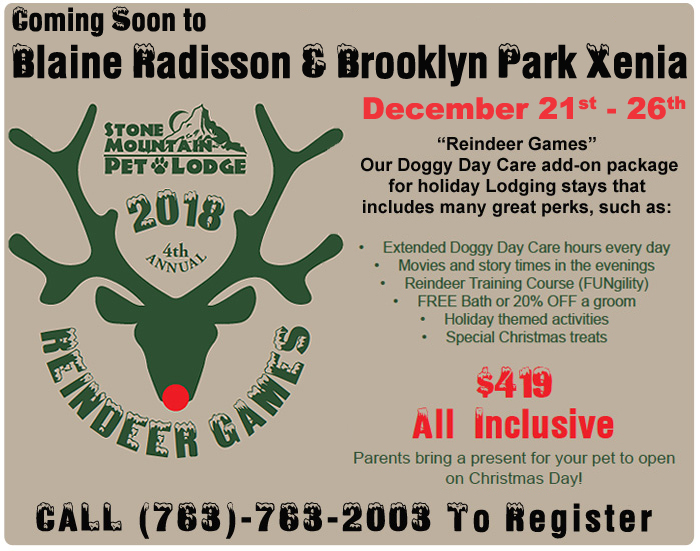 We offer your pets comfort and safety in our state-of-the-art suites, outdoor runs, climate controlled interior, groomed walking trails and wide-open play spaces. To give you the best of the best and build a stronger team in one Blaine location, we’re combining our Baltimore and Radisson stores. Moving forward, all our Baltimore Street staff and services will be available at our Blaine Radisson Road location. 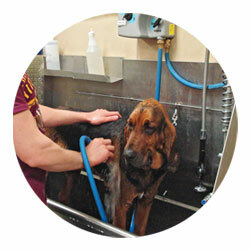 If you haven’t heard yet, our Radisson Doggy Day Care space has undergone some great renovations and improvements. New direct-access suites for breaks & feeding with omni-pull handles to let dogs in and out without leaving the room. We're excited to move our programs, staff and your dogs from our Baltimore Street facility to our new beautifully updated facility. You'll be getting the same great service you know, PLUS some new ones for Cats at Whisker Ridge Cattery & Salon! 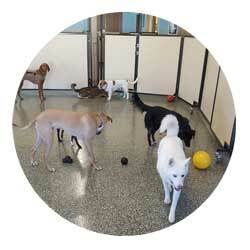 Your dogs love coming to Doggy Day Care to visit their friends and play. Now you'll be able to lodge your dogs while you're away, at the same location they are used to, with a staff they already know and love. Your dogs can play during the day in Doggy Day Care and stay in one of our suites overnight. Lodging becomes an extension of fun instead of a time of high anxiety. Our lodging program has plenty of add-on options to pamper your pet further. We also take other pets. Drop your cats off at Whisker Ridge Cattery & Salon for a little pampering while you are away. Exotic pets? No problem. Just Ask. 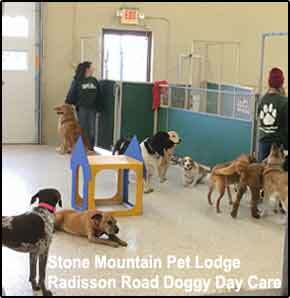 Stone Mountain Pet Lodge is a place where smart, talented people work to provide you and your pet with outstanding service and the best products at the best prices. We have the best staff around because we focus on hiring folks with pet care education and experience who are committed to the pet care industry. Our Baltimore Street staff is no exception and they'll be joining the rest of the Radisson Road crew. We're excited to announce Karah and Jordan as the new co-managers at Radisson. Karah has worked at Stone Mountain Pet Lodge since 2011 and has been at our Baltimore facility since it opened in 2014. 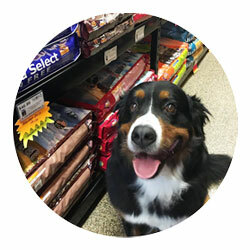 She is currently the Store Manager at our Baltimore Location but spends a lot of her time working in Doggy Day Care. She also does training and is a contributor to our FUNgility program. She loves getting to know the regulars that come in for day care. She enjoys watching the dogs grow up with us and to see all of the dog’s different personalities come out. She loves to bond with each dog and thinks that it is very important. Karah has a Bachelor’s degree in Animal Science from the University of Minnesota. 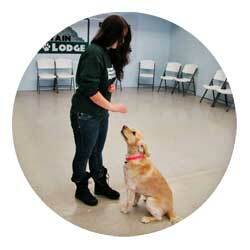 Before coming to Stone Mountain Pet Lodge, Karah gained some valuable experience working at a local animal hospital. 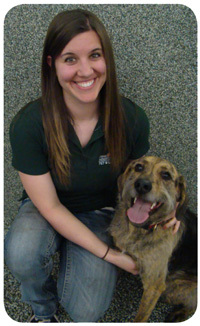 She is pictured here with her German Wirehaired Mix, Leonard DogCaprio. Jordan has been with Stone Mountain Pet Lodge since 2014. During that time he has worked in many departments including Hot Springs Grooming Salon, Whisker Ridge Cattery & Salon and Doggy Day Care. 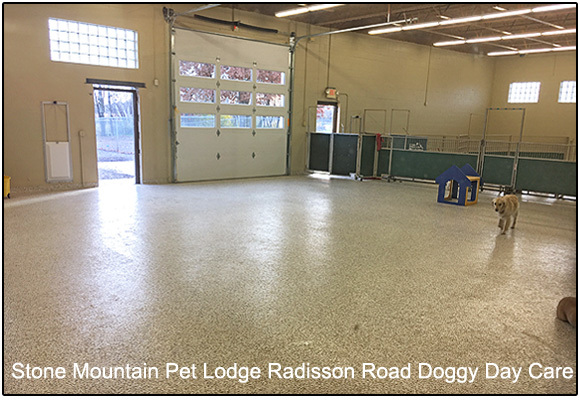 He has been working as the Lodging Manager at Stone Mountain Pet Lodge, Radisson Road facility. Jordan graduated with a degree in Veterinary Technology. He is a certified veterinary technician with a total of 11 years of experience in the pet care industry. One of his strengths is being able to monitor and assess if a dog is unwell and take action to get them on a path for care. The experience he gained while working at a variety of pet hospitals has been invaluable for us during his time at Stone Mountain Pet Lodge. 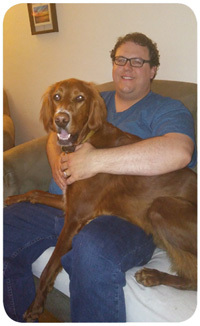 He loves all animals but especially likes working with pets who have special needs or anxieties. At home, Jordan enjoys spending time with his dog Sydney, cat Madison, and 2 guinea pigs Dawn and Luna! Our last day at Baltimore Street was December 1st. We're excited to move our programs, staff and your dogs to our new beautifully updated facility. You'll be getting some new services for Cats at Whisker Ridge Cattery & Salon!